Hey y’all!! 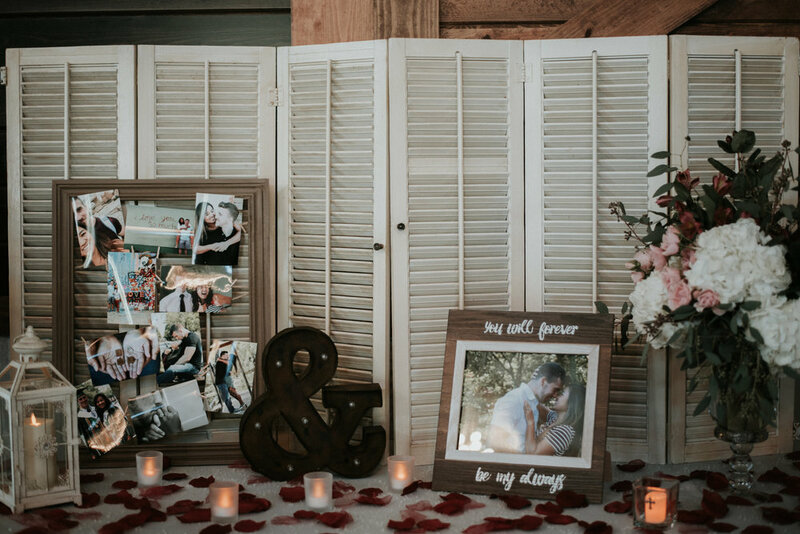 We are so excited to be filling up this blog page again with another one of our GORGEOUS Peach Creek Ranch couples…Hannah & John! The holidays were a crazy season for us with Christmas parties, sorority events, and just having a NEW BABY right before Thanksgiving (who is so precious, by the way). Thank you for bearing with us and coming back for more from the Peach Creek Ranch team!!! 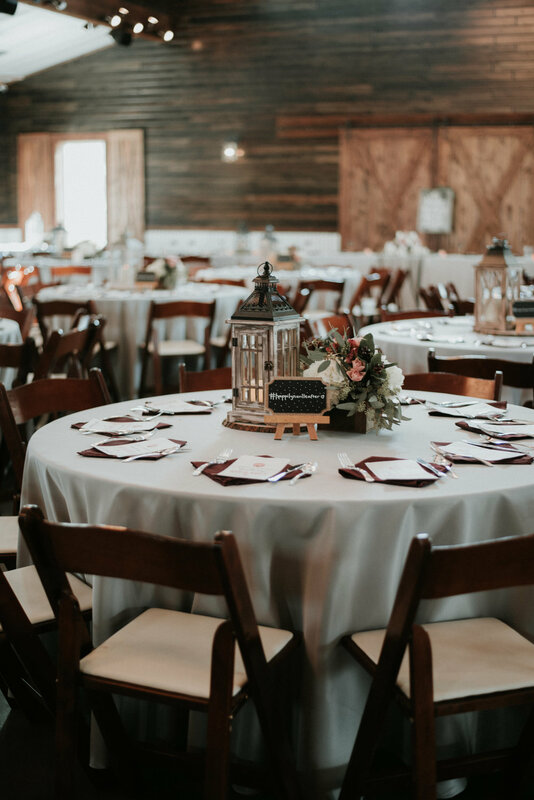 Hannah & John were a dream to work with from day one and actually signed at Peach Creek Ranch way before their wedding date when we didn’t even have a completed venue…the trust these two had in us was amazing! Hannah was even one of our interns in the early days, and one of our “friendors” (a vendor who has also become a dear friend) because she owns Vine and Branches Productions. She creates gorgeous wedding videos and comes highly recommended from us! In short, we love Hannah and John and have had the privilege and pleasure of watching their love grow through this crazy planning process. Being a part of their big day and seeing their affection for one another on their wedding day was truly a treat. They love so well, and not to mention their wedding was B-E-A-UTIFUL. We just couldn’t resist sharing them with the world! 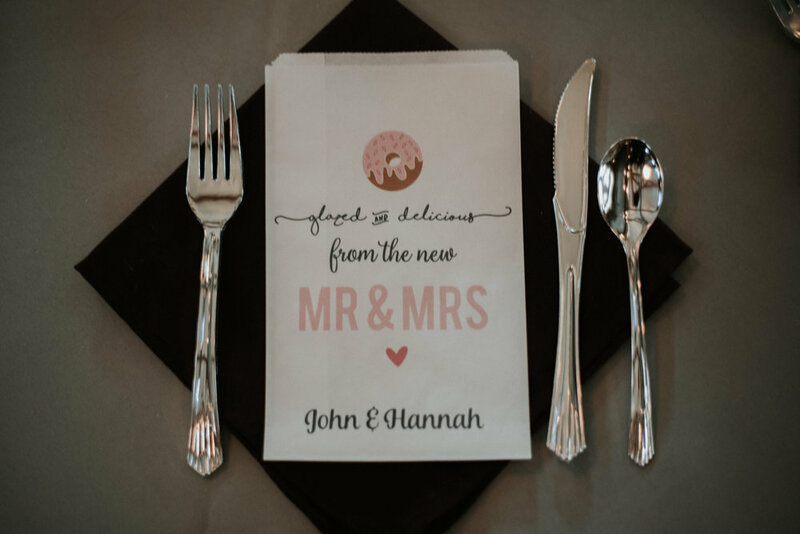 Hannah & John were able to arrive the day before their wedding and make sure everything was perfect for their wedding day! Their wedding was adorable from the customized Nike's Hannah wore to the yummy donut tower and cocoa bar and all the decor in between. On the morning of their wedding, they both were able to relax, get ready and pampered, and enjoy a "first touch" with each other to calm their nerves. Not to mention Hannah's sweet family taking part in a "first look" with her...can you blame them for tearing up?! She's a vision! Then it was finally time to get these two hitched!!! 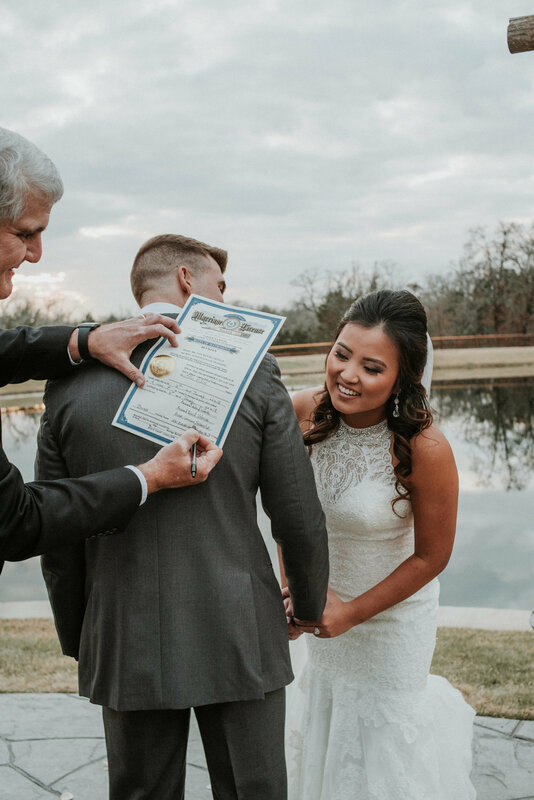 This handsome couple enjoyed a beautiful ceremony, and then were able to take some gorgeous photos....and some silly ones too with each other and their bridal party. What we love most about this couple is their light-hearted nature and how fun they were to be around! You can definitely see that in these photos!! Then it was time to party the night away before we sent Hannah & John off with a sparkler exit! Their wedding party and guests were the BOMB and were so so so fun, partying the night away!! 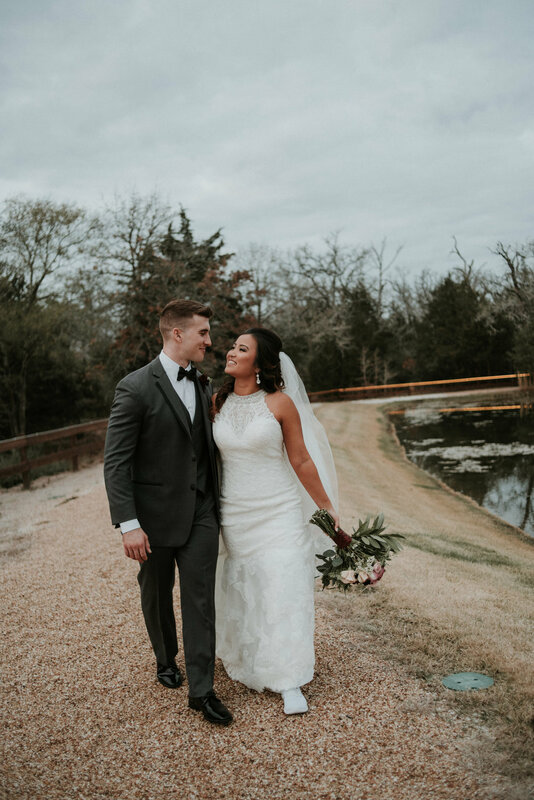 Hear what the new Mrs. Neville had to say about her big day! "For me Peach Creek Ranch made me feel like I was right at home. 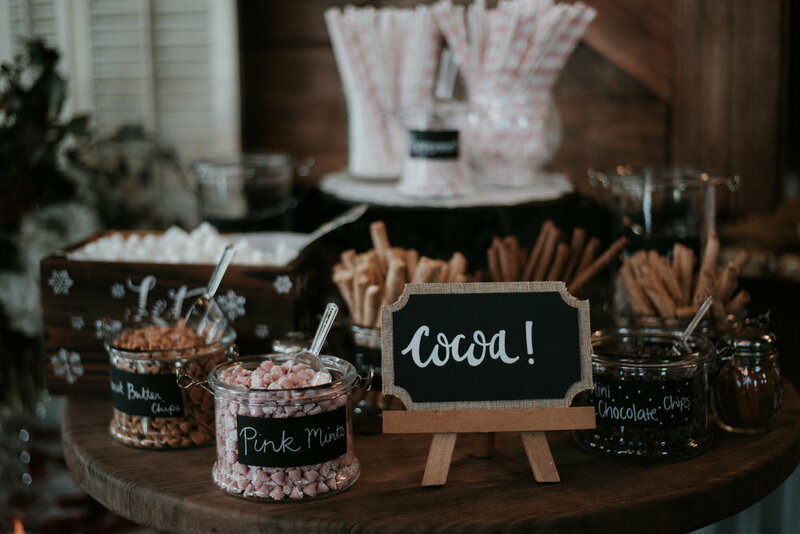 Everyone is so welcoming and excited for your special day even though y’all host a wedding every weekend, the excitement is always fresh! I love this venue as a vendor as well because I have gotten to work a lot of events at the venue and I feel like the setup is perfect. 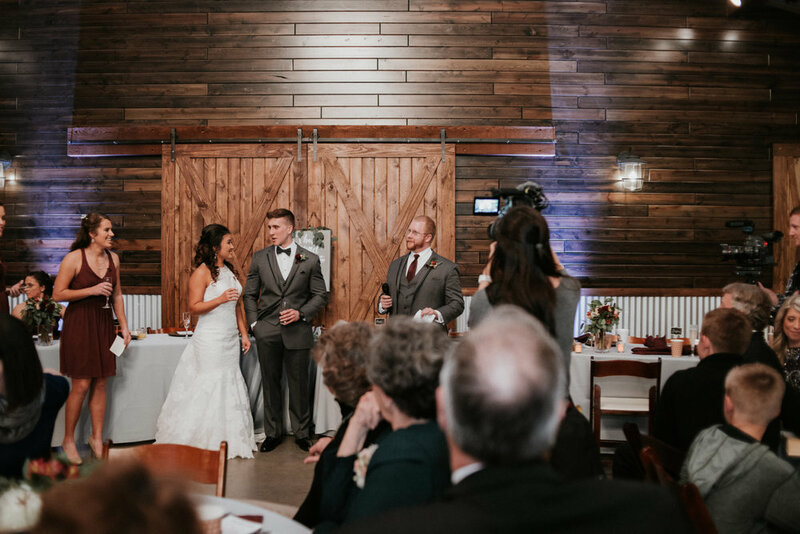 Everyone that was helping to set up LOVED the fact that the 48 hour package allowed us to use all day Friday to set up the reception decor and made Saturday morning so much easier for us! My girls and I loved the bridal suite and loved how roomy it was. John and his guys liked getting to have their own space as well with the grooms suite! Everything was set up so perfectly and our guests cannot stop talking about how beautiful the venue was. I would rate PCR a 100/10 with how great everything and everyone was to us!" All in all, this night was one for the books. The love was overflowing and the party was one we will never forget! We want to give a huge shoutout to all of their awesome vendors who made this day possible.